This Christmas, I decided that it was important to not go overboard with spending. I picked a few items for my “Kids! Holiday Gift Guide” that your children will absolutely adore. Here is my rule of thumb, choose one thing in each category: start with something that they want, something that they need, something to wear, plenty to read, something that they take time to create or make, a treat to eat & a little something extra. From my Carseat Dancers to yours, we wish you a Merry Christmas! P.S. 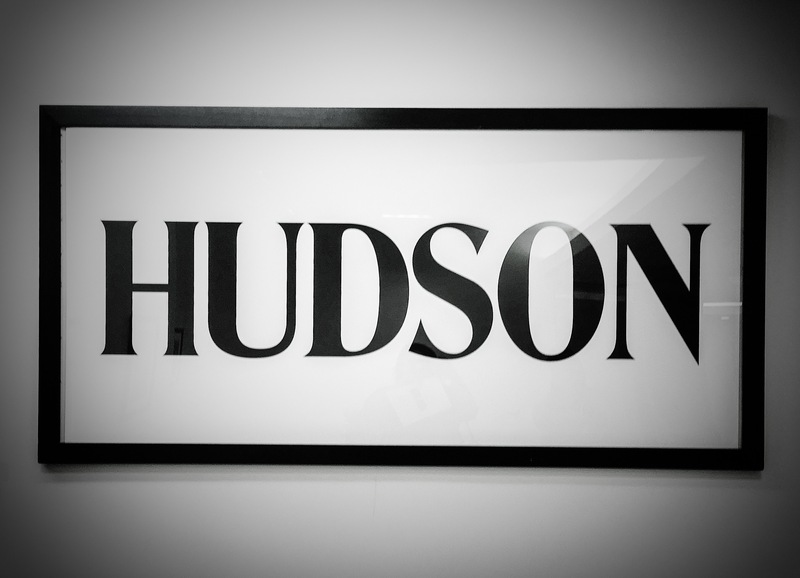 Please feel free to shop directly by clicking directly on each blue link. My girls enjoy spending their own money on the items on their wish list. And when they are not spending, you’re teaching them to SAVE. This cute little coin purse is the perfect gift for any child. Be sure to give it with a little bit of cash inside. Anything Shopkins is all the rage. Your little cutie will love this snack. Santa could add a bag to their stocking. Yum! All kids enjoy books that are interactive. The books in this series allow children to shine a flashlight behind the page, or even hold it up to the light, to reveal what is hidden in and around different places. This series encourages children to READ & discover a world of great surprise all while learning along the way. So fun! A perfectly darling fairy door that comes with a magical key can be placed at the base of a wall indoors or outdoors against a tree as a sign of welcome for fairies—when the key disappears, the fairy has arrived! A charming gift for those who will forever believe in fairies. The T-shirts in the Saturday Morning Pancakes collection are hilarious. “Things that make you go hmmm…” and bring you back to those earlier years. With this sweet Lego set your kids can be creative and build what they want. Cool breathable tennis shoes with barefoot comfort are all the rage. My kids love the idea of Velcro & no tie laces for easy on easy off. Every kid could use a pair of the perfect sneakers. 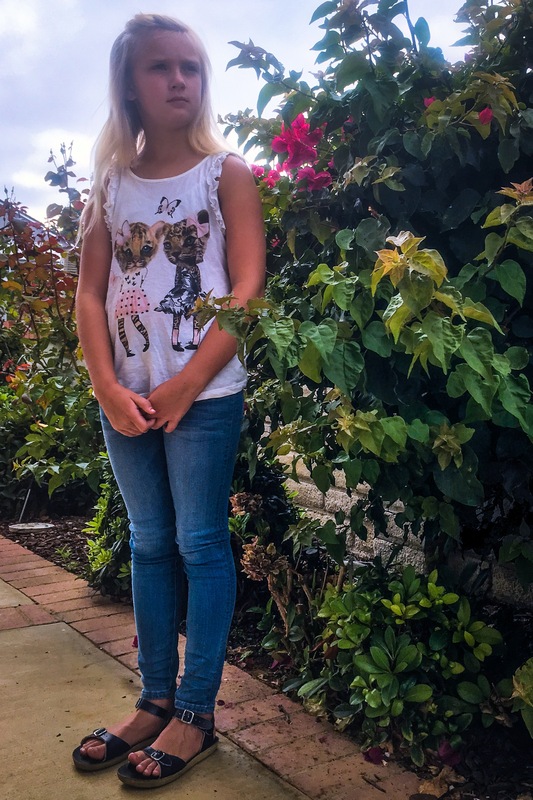 As a mommy of southern California girls I am always on the lookout for the best summer shoes… with the hope of avoiding burnt feet. 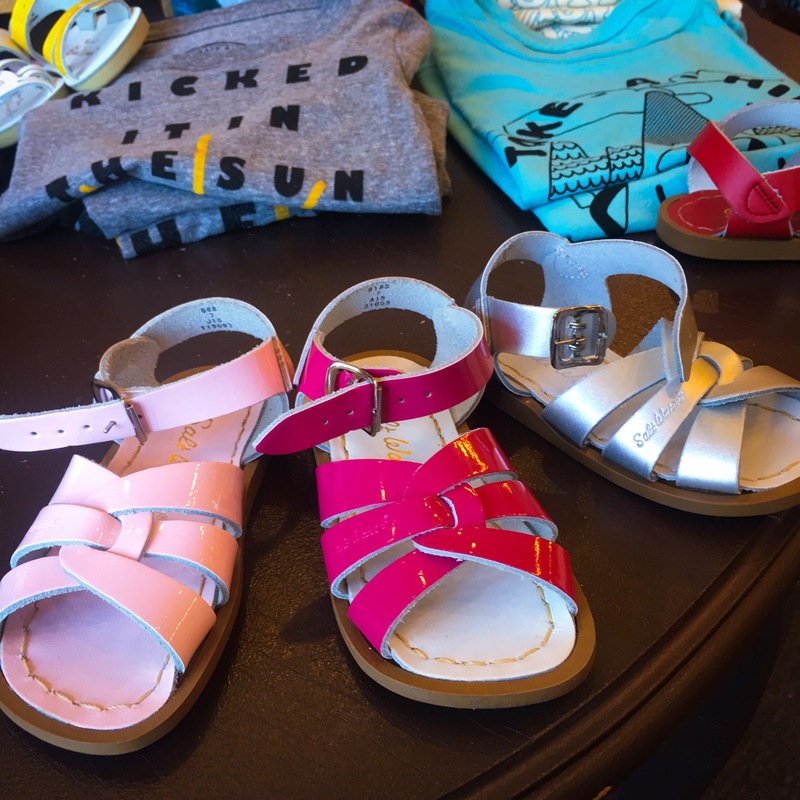 I picked up a pair of name-brand tennis shoes, figuring we would do a ton of walking, and a pair of Saltwater Sandals from my favorite children’s boutique: Kissui – Redlands, CA, recommended by a fellow mommy on the go. 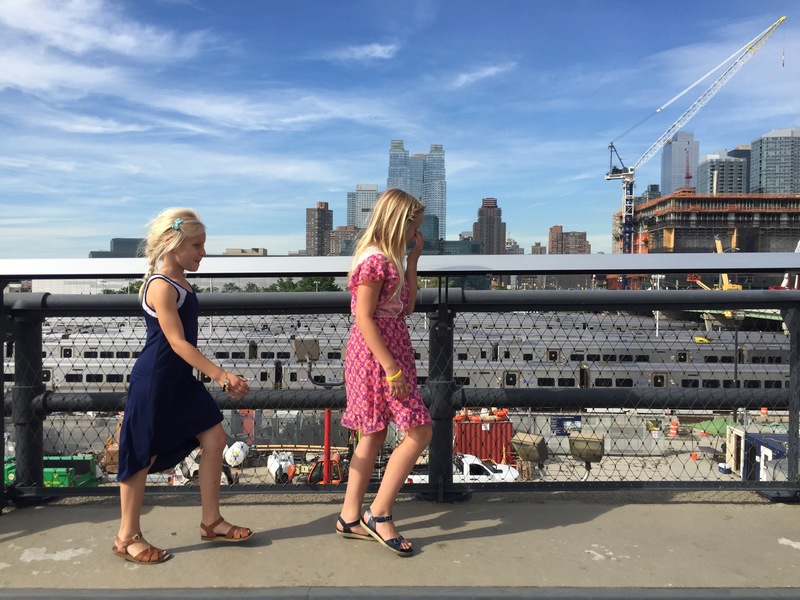 I presented my girls with their new sandals upon arriving to NYC. (I got my 3-yer-old niece a pair too.💕) Thrilled! They immediately put them on and we headed to a park. They ran, jumped, climbed, played hard… didn’t complain once about their feet. We walked a total of 8 miles on our first day there! 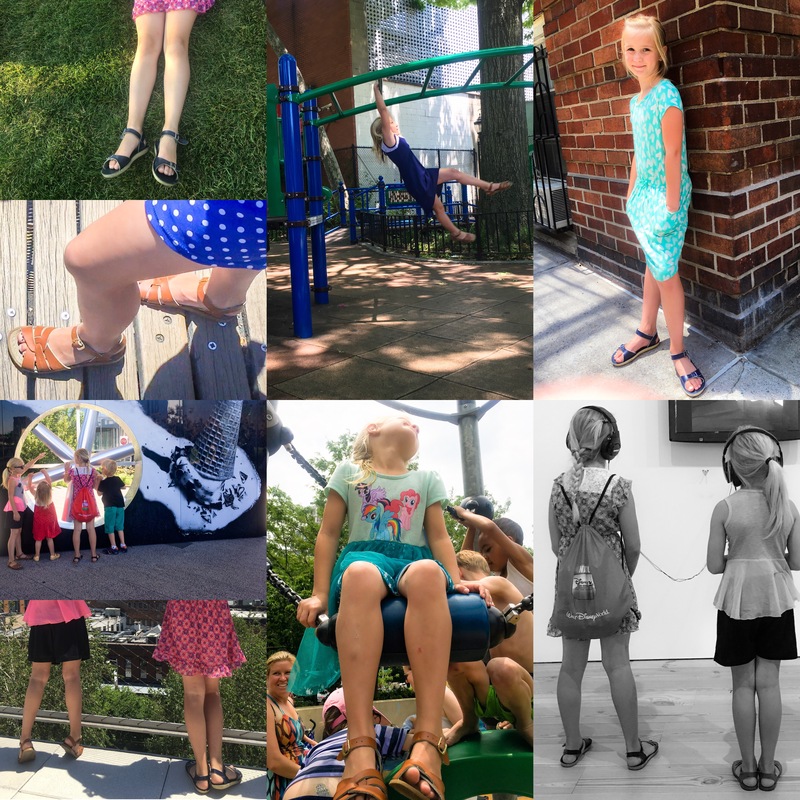 Each morning, I would announce that it was, “Time to get our shoes on.” And both girls obliged by strapping on their Saltwater Sandals. 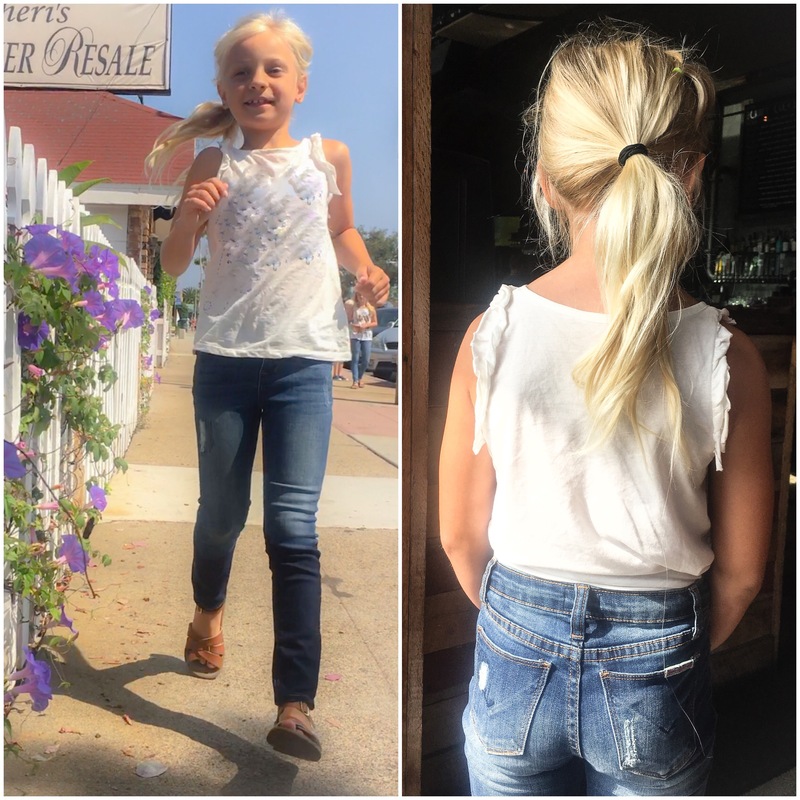 By the fourth day I was recommending switching to their name brand tennis shoes, to give the sandals a break, and my six-year-old responded with tears! “But Mommy, I just love these.” — Holding up her sandals. I chose not to argue & allowed her to wear what was most comfortable. After two weeks in New York City, wearing the same pair of sandals, I was happy to see that they were still firmly intact, not rusted or discolored after the numerous times playing in water & in the city heat. My girls had NOT complained of one blister or one sore foot for that matter. I am so impressed by these sandals. Honestly, they wore them EVERY DAY of our trip! 🔹They run big so I would suggest going down a size. 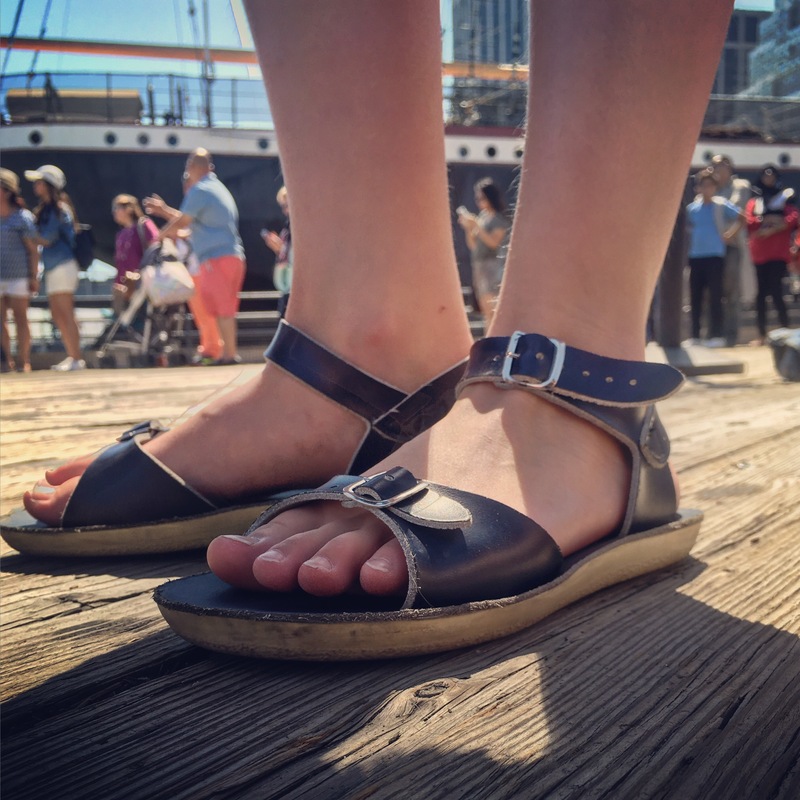 * Water-friendly leather upper since 1940! * Breathable leather lining and footbed. * Ankle strap with buckle closure ensures a secure fit. * Brass buckles won’t rust if you get them wet. My CarseatDancers are always DANCING in Car Seats … from now on, I would be surprised if they weren’t also dancing in Saltwater Sandals. Just so you know, I was not paid for this post. I was not given any sandals for free. Although, I’d LOVE some. I am writing this purely on factual occurrences that I HAD to share. 😍You’re welcome! 😉 I have never been more impressed by a shoe! This collection of goods is perfect for the WOMEN in your life. I’m sure you’ll see that there’s something for every woman on your Christmas list! Is she a mom? Your best friend? Traveler – always on the go? We’ve got you covered! I receive so many compliments every time I wear this lipstick. Hello… This entire CD has me swooning. Her musical talent is phenomenal. Crazy cool pictures in hand at the touch of a button! I absolutely love the modest vibe that this handbag gives off. The fact that it doesn’t have logos all over it makes it even more usable. So on trend. I sport these shades & LOVE them! Have you tried the polarized “Happy Lens” by SPY Optic? The color and clarity of these lenses are unreal. I don’t know what I’d do with out my Keurigs!?! Yes, Keurigs! I own 3. I’ve been asked by my CarseatDancers, “How many cups of coffee have you had today?” My reply: “Not enough!” Keurig has made my LOVE of coffee grow immensely. Is there a little boy on your Christmas list who’s got it all? 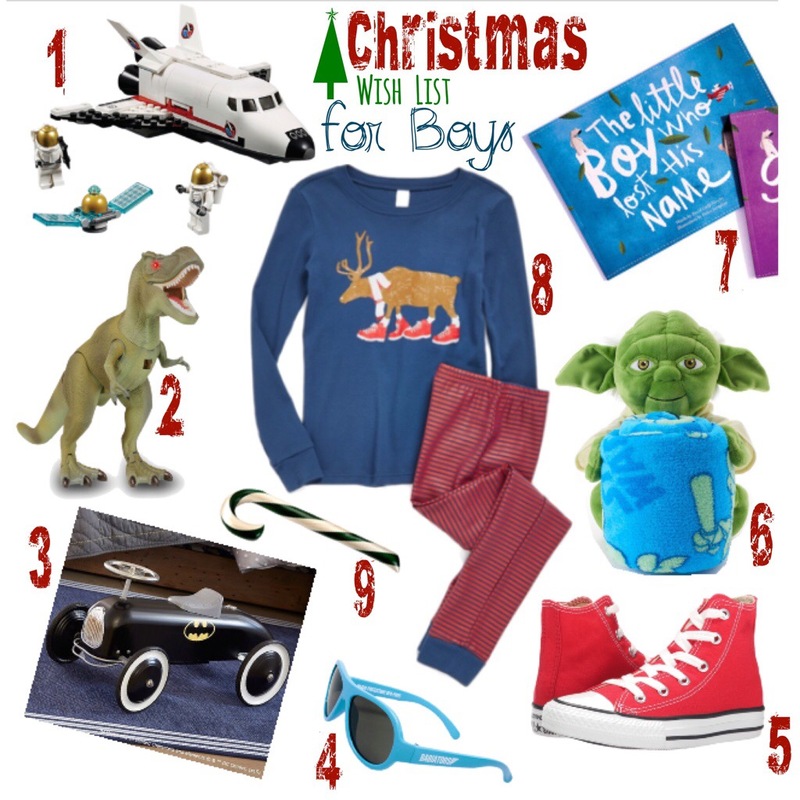 Well, we put together a Christmas Wish List sure to make every little guy swoon, even the one who has it all. We’ve picked items from Star Wars to Batman and everything in between. Every little girl has sugar plum dreams about the goods on her list for Santa. Is the little girl in your life a girly-girl, crafter, sporty, bookworm or misfit… maybe? 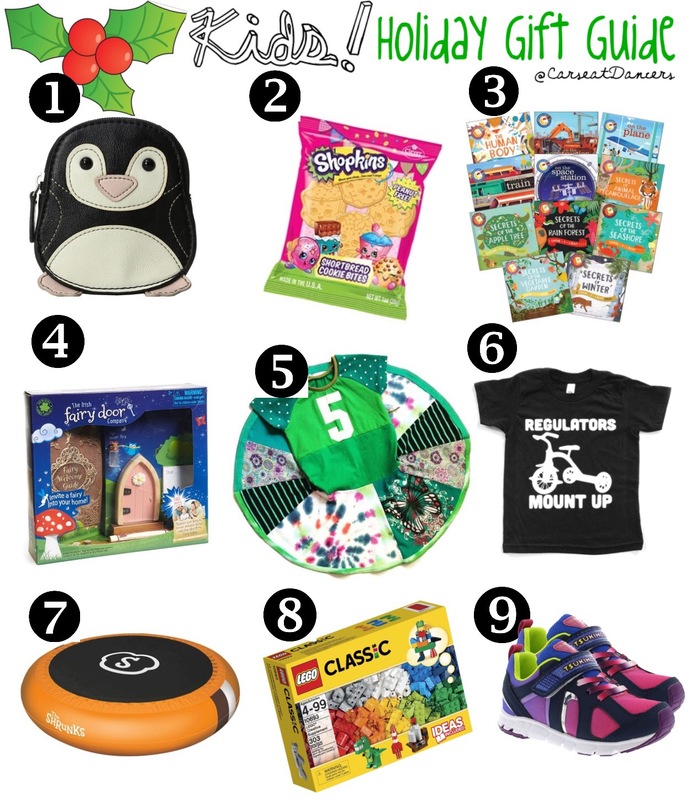 The “Christmas Wishlist for Girls” that my CarseatDancers and I have put together has something that every type of little girl would adore. 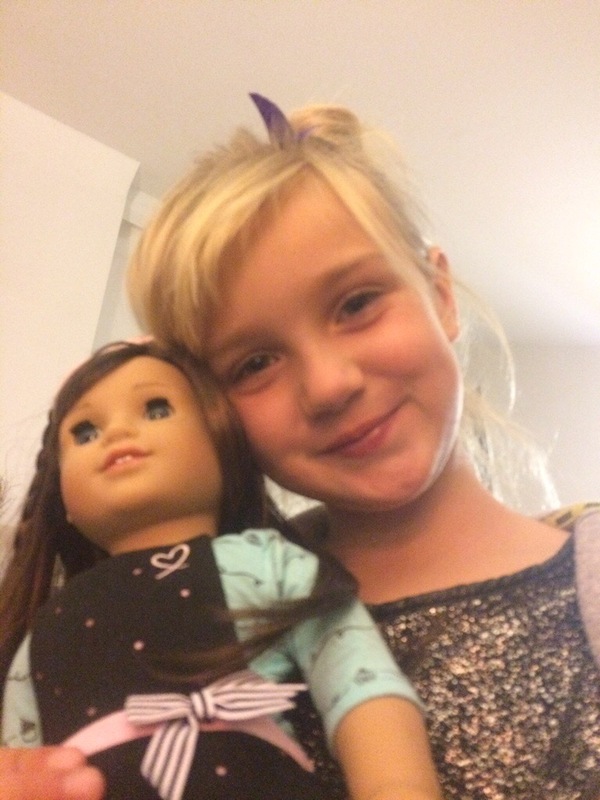 Here’s our list of Christmas Must-Haves for girls from 5 to 12. A personalized gift is something that will be cherished forever. The creativity in this collection of books is phenomenal. Each story is different, as the main character searches for the letters to spell the name of the child who receives it. 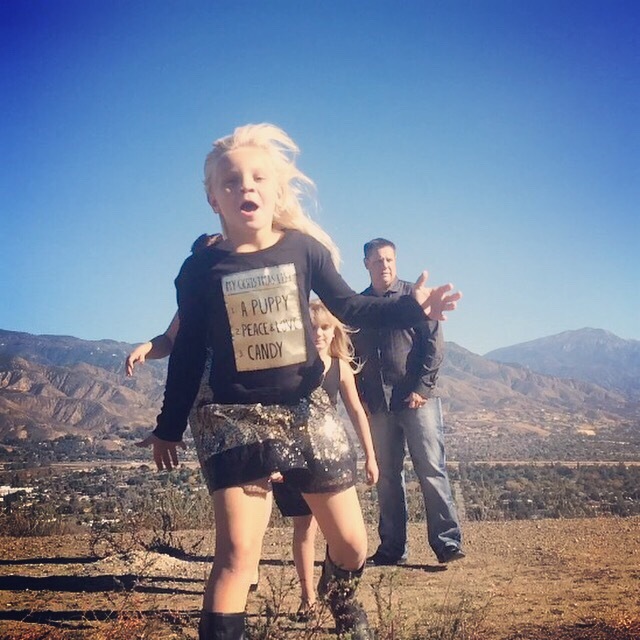 Kids who dream about adventure and love to explore will be filled with excitement with the World at their fingertips. Here’s my sweet AKA7 with Grace. Grace is 2015’s Doll of the Year. These cute little skateboards are the newest trend. We are absolutely loving that they have made these a little bit more girly but still PERFECT for the sporty girl in your life. Remember to pick up elbow & knee pads and a helmet if you decide to grab or customize one of these boards. Painting is one of our favorite indoor craft activities. With this sweet little ARTIST kit your sweetie will create a masterpiece perfect for any wall. Since 1920, Hammond’s has been creating the best Christmas treats. This JUMBO candy cane is a must-have stocking stuffer! Your little one will build this cool Lego tower as Rapunzel, Flynn Rider, & Pascal the chameleon watch. The perfect Christmas outfit for my little firecracker came from Justice. 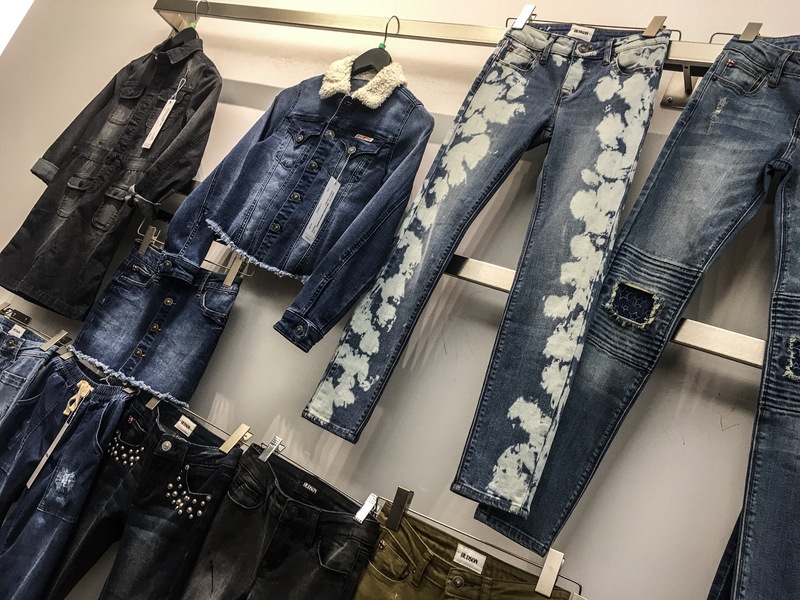 They have a lovely selection of fashions for the girl in your life. 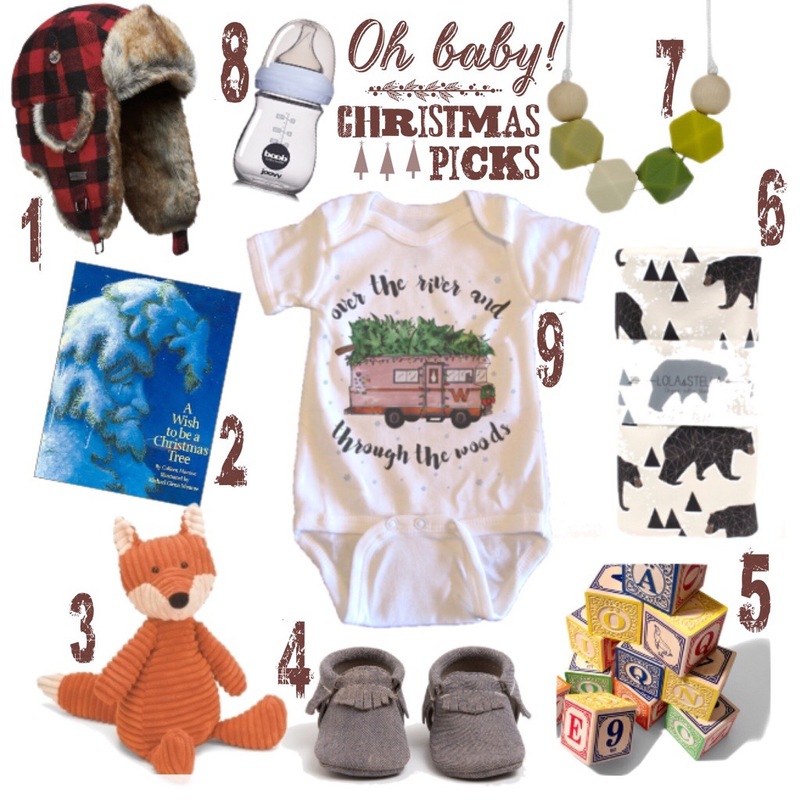 My CarseatDancers and I put together this sweet collection of goods… Perfectly perfect for the baby in your life this Christmas.